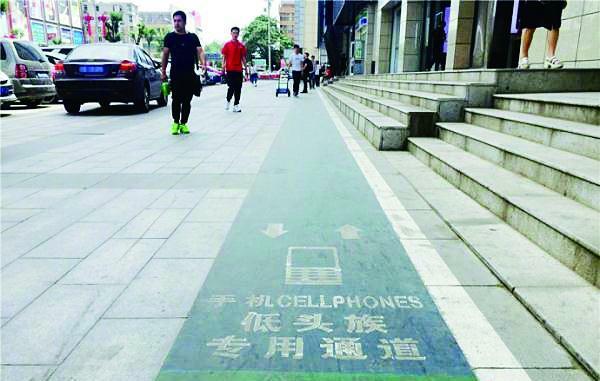 Reactions on Chinese social media have been mixed, with some locals applauding the idea as an ingenious way to keep phubber safe, and others comparing some people smartphone addiction to smoking opium during the Qing Dynasty. “Everybody walking along here thinks that it’s very safe; at the side of the road, there are cars, and the vehicles also come onto here, and sometimes only just avoid you,” one person told The Paper. “Young people’s lives nowadays are fast, and they’re always looking at their phones. This puts our minds at rest – those of us who are often looking at our phones – as it’s a form of protection,” another local commented. Still some pointed out that while the new lane may keep phubbers safe from traffic, it still doesn’t stop them from bumping into other people, unless they start paying attention to what goes on around them. And then there’s the issue of actually seeing and using the special lane. 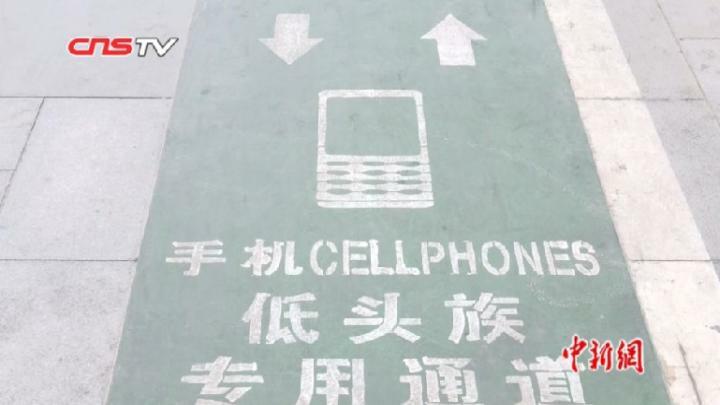 This is not the first time a special smartphone walkway has been introduced in China. In 2014, the southwest city of Chongqing launched a similar initiative, with the goal of avoiding unnecessary collisions, especially those involving children and the elderly, but it didn’t really work as intended. Phubbers were so distracted by their phones that they didn’t even notice the lane. “Those using their cellphones of course have not heeded the markings on the pavement. They don’t notice them,” a marketing official for the project said at the time.